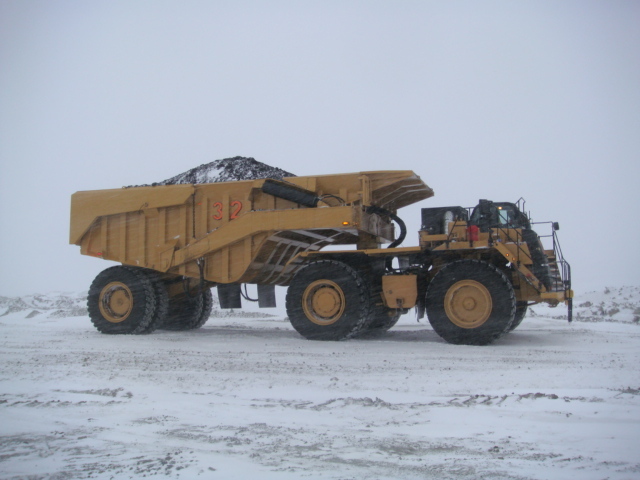 Rear Dump Trailers | Maxter Mining Products Ltd.
Maxter was approached by a western Canadian Caterpillar dealer in the late 1970’s to see if they could come up with a solution to a problem in a zinc mine. The haul length was about 8 miles and the mine was having trouble with tire overheating hauling 100 tons using a Caterpillar 777A truck. Maxter came up with the solution of a rear dump trailer and the addition of the third axle combined with the rugged trailer design allowing the mine to haul 160 tons per load. 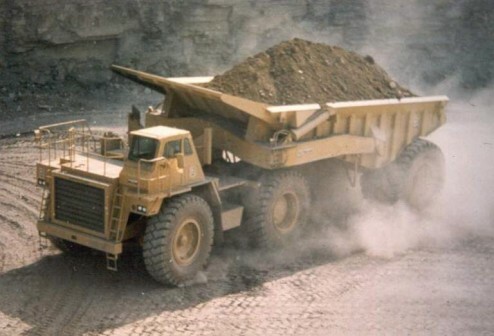 Rear dump trailers are especially effective for hauls longer than 3 miles. 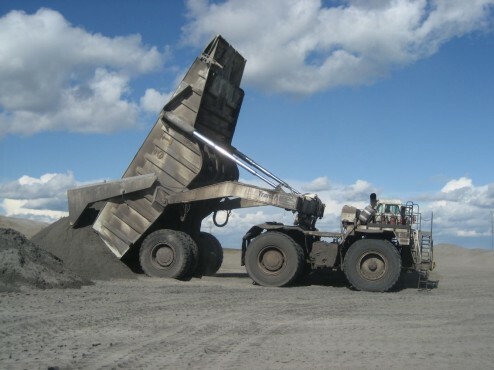 Better tire load distribution resulting in increase in tire life. 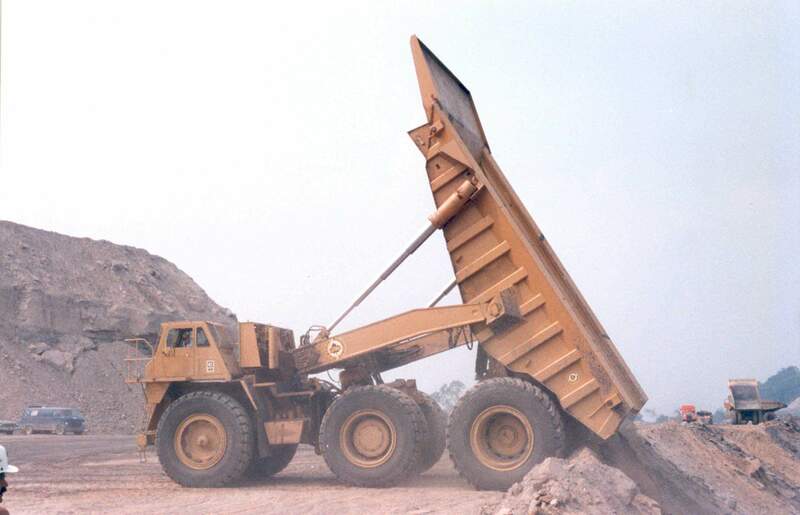 Existing fleets can be upgraded without incurring the cost a larger sized prime mover. 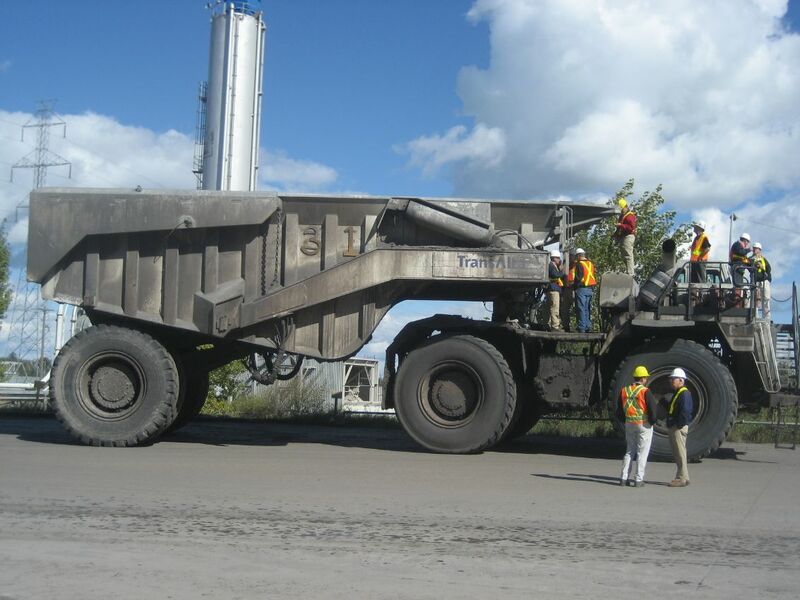 Significant savings in fuel, maintenance and operating costs. Short turning radius- highly maneuverable. Rugged draft arms and drawbar provide both the point of attachment to the tractor and stability when dumping. Oil cooled multiple-disc brakes on all models from 65 tons and up. Twin, inverted chromed double acting dump cylinders tip the body at a high dump angle thus shedding the material in an efficient manner. A horse can pull more than it can carry on its back. 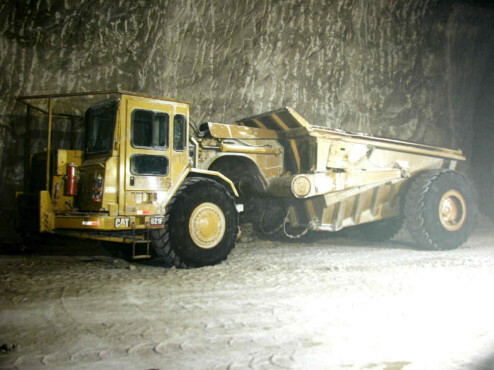 For instance, an 85 to 100 ton truck, when converted into a tractor, can haul a 160 ton payload.